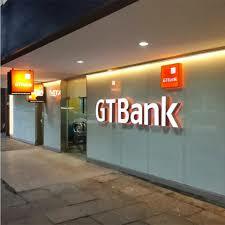 Guaranty Trust Bank remains one of the top two rated Banks in Nigeria as shown by the recently released Rating Report by Fitch, a global rating agency. Fitch revised the Outlook on the Bank’s Long term Issuer Default Rating (IDR) from Negative to Stable citing the Bank’s continuing strong earnings, and stronger-than-expected liquidity as the reasons for the revised outlook. Fitch revised the Bank’s Support Rating Floor (SRF) to ‘B’ from ‘B+’ as a result of the Sovereign’s weak foreign currency position. The IDR rating and outlook reflects Fitch’s opinion of the Bank’s relative ability to meet its financial commitments and the Bank’s rating of B+ remains the highest credit rating in the industry. The Viability Rating (VR) which is a component of the IDR measures the Bank’s intrinsic credit quality and capacity to maintain ongoing operations and to avoid failure. Fitch affirmation of the Bank’s VR shows that despite the tough operating environment, GTBank’s strong and stable financial metrics as indicated by its profitability track record, healthy liquidity state, strong asset quality and capital ratios, have continued to impact positively on the Bank’s VR rating of b+ which remains the highest in the industry. The Bank’s Long and Short term National Rating remain affirmed at AA- and F1+ respectively, also the best in the industry. This rating denotes expectations of very low default risk and strongest capacity for timely payment of financial commitments relative to other issuers or obligation in the country. The F1+ rating also denotes a particularly strong liquidity profile. GTBank’s VR, SR, IDRs, National and Senior Debt ratings reflect the Bank’s strong earning potential, excellent management strategy and corporate governance, solid track record in managing credit risk, strong liquidity management and sound capital ratios. The Bank will continue to improve its financial profile and strengthen its risk management capabilities to improve its overall creditworthiness.